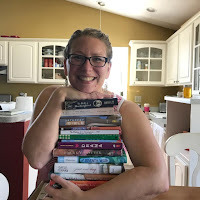 Reading nonfiction books during library storytime is still somewhat new to me, and it is not easy to keep the attention of 3-5 year-olds, but books like these have made it so much fun...for me and my students! 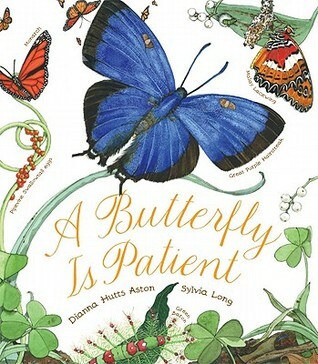 This book is one of many by this author/illustrator duo, and it is as lovely to look at as it is to read. Our preschool classes are hatching caterpillars, and this book makes a perfect read aloud for them. It has simple phrases as main text with supporting details scattered around the page in smaller type. I like that I can read parts of it in more detail as their caterpillars reach different stages. 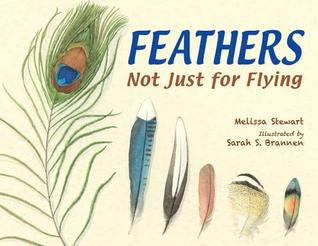 This was a fascinating book, and I learned as much as my kiddos did about feathers! It makes a great partner read with Mama Built a Little Nest by Jennifer Ward. The illustrations are fantastic and make the book look almost like a scrapbook, which is a concept that may be new to little ones. I received this book as part of a book shipment in the fall, and I wasn’t sure what to expect, but I immediately loved it, and so did my kinders! We had so much fun reading it. I paired it with Full of Fall, also by Sayre, for a poetry/fall themed storytime. This book is great for a few reasons. First, it is a board book. As a mom, I loved board books for my own children, and in the library they are awesome! They are very durable, and the kids love them! Second, this book has simple, informative text paired with bright bold illustrations. Finally, Who Am I? 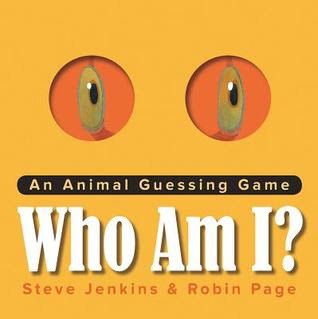 Is a guessing game! It keeps storytime interactive, loud, and hopping! I walked by this lovely book in my kindergarten library for over a year and finally decided to read it a few weeks ago. I am so sorry I waited so long! 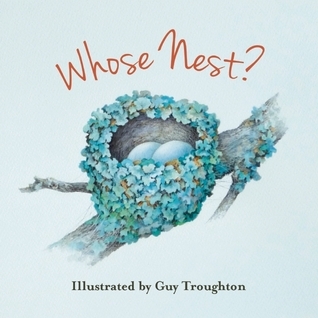 This nonfiction book about animal nests is the perfect book for curious kinders and preschoolers! It was one of my favorite read alouds this year! It brought so much discussion, and the students were entranced! The illustrations are beautiful, and some eagle-eyed littles even caught on to the clues in the text. This book will definitely make it into my regular read aloud rotation! Three books I already love, and two for me to go put on reserve at the library. Thanks! Ditto, Laura. I've never read Whose Nest--how did the bird nerd in me miss this title? Will remedy that right away! 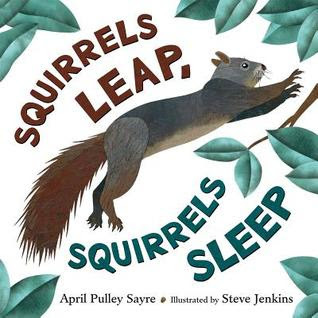 Angie--I think April's recent books are so perfect for pre-school with their rhyming and very spare text. So glad the kids are getting a good dose of NF!! Yes! All ages love them!